Wondering why Celtics star point guard Kyrie Irving wasn't sitting on the bench with Hayward and Theiss last night? He recently underwent deviated septum surgery and wasn't able to fly out to the game. 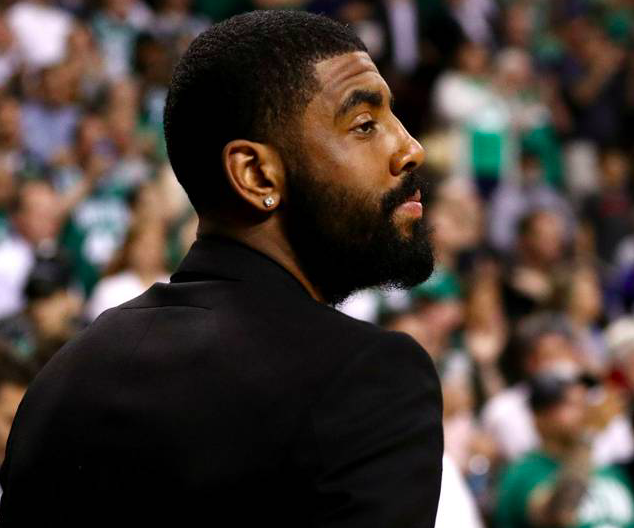 njured Boston Celtics guard Kyrie Irving did not attend his team's Game 7 loss to the Cleveland Cavaliers because he had undergone surgery for a deviated septum, president of basketball operations Danny Ainge said Monday. Irving's agent, Jeff Wechsler, told ESPN's Jackie MacMullan that the point guard wanted to attend the game but couldn't fly because of the surgery. "It was a residual from the facial fracture he had earlier in the season," Wechsler said of the injury. "He had the knee surgery, and now he's taken care of this sinus surgery, so he will be all set going forward." Talked to one of the original CelticsLife writers TB about this. Apparently post deviated septum surgery is rough. Definitely nothing to sneeze at.